Service aims to help merchants sell safely, protect buyers and foster trust. It can be time consuming for sellers to research every product to ensure it is safe for consumers, but a new service offers to monitor recalls for them. WeMakeItSafer.com says the service, called Simply Check, will check products against recalled items from as far back as 1999 in minutes. The service looks at items similar to those a seller offers that have been recalled, and notifies the merchant with a photo and "summary-level information" about the recalled items. Sellers can then determine if their items are among those recalled—and if they need to pull anything from their inventory. 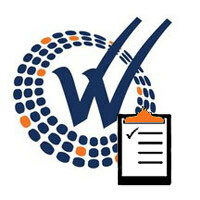 Sellers need to be aware of what has been recalled, as it is against the law to sell or attempt to sell recalled products, WeMakeItSafer.com notes on its site. "Anyone who does [sell recalled items] risks a fine of up to $100,000 per recalled product and, in some cases, jail time," the site states. However, Simply Check does more than protect sellers, the company adds. It also fosters trust among buyers by showing that sellers are taking extra time to ensure the safety of their shoppers. That's because sellers can use the service to verify that their items are safe, and display this information alongside the item descriptions to reassure buyers. WeMakeItSafer.com estimates about 500 million recalled items remain in the United States, being sold online, at yard sales and in thrift shops. The service monitors children's products, computers and electronics, tools and building supplies, motorsport and utility vehicles, sports equipment and more. Costs for the service range from $9.99 a month for casual sellers to $49.99 a month for resale stores. Simply Check also offers a free 45-day trial. Get more information about Simply Check. Product safety board delays enforcement of new regulations to Dec. 31. Are You Ready for the New Lead Law? How to avoid liability when selling new or used items online. Ban will be temporary, officials say.